Our variant medley of cotton quilts range from indigenous hand-loom items to designer touch quilts. We use premium quality fabrics of cotton, satin, silk etc. to add a touch of elegance and comfort. We present scores of patterns and sizes with multi-utility designs. 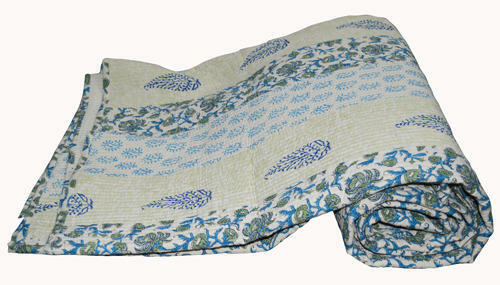 We offer you handmade Block Print Jaipuri Quilt. 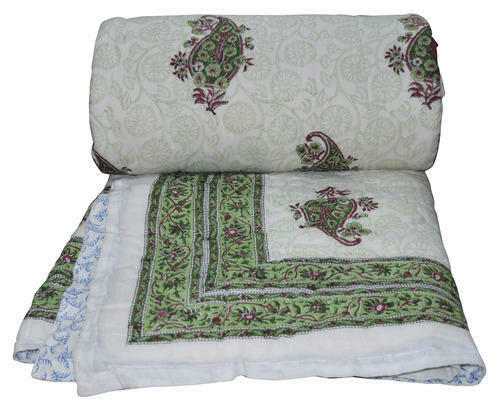 This is totally handmade by our rural artisans and decorated with beautiful print work. It is adorn with marvelous traditional print work. 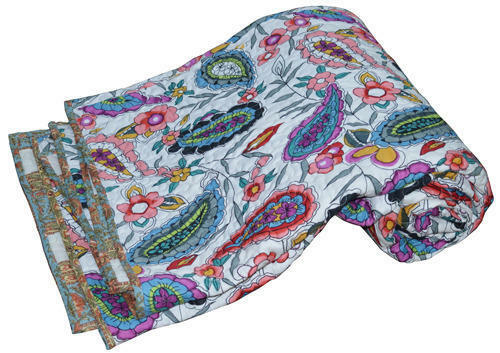 This unique cotton quilt is made from Jaipuri cotton fabric. 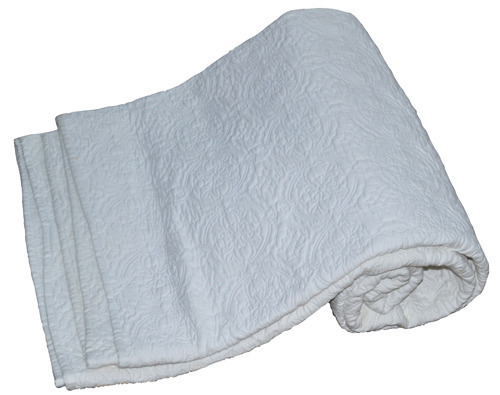 Ramdev Handicrafts offers you our handmade magnificent work cotton quilts. This is in dazzling white color. 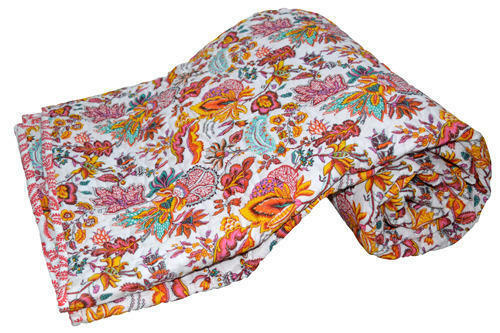 We are suppliers, manufacture, explorer, retailer and wholesaler of cotton silk fabric textiles like cushion cover, quilts, bed sheets, girl’s jackets ottoman and many more items.